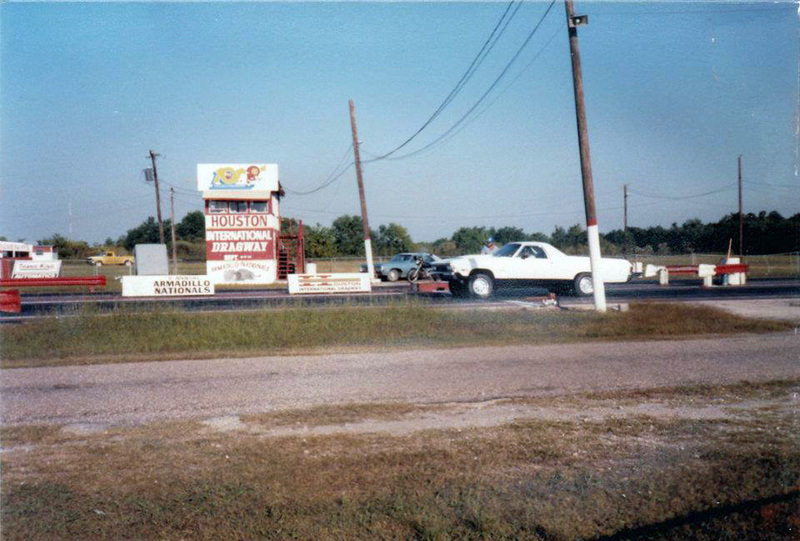 The Houston International Speedway, later known as the Houston International Raceway and then Houston International Dragway, or the "Freeway Dragstrip", as well as other various names in its lifetime, was built in the mid-1950's and was considered one of the nation's premiere drag strips during its time as a member of the NHRA's Division 4. 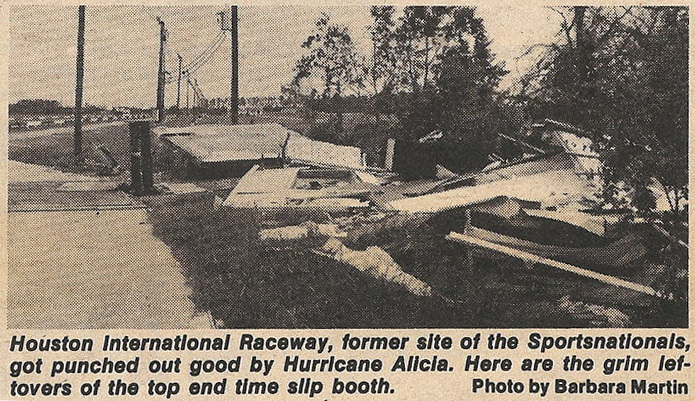 Some of the legends to race there were "Bid Daddy" Don Garlits, Warren Johnson, Lee Shepard, Marvin Graham, Gary Beck, and a host of others. 1957 - Historic Aerials - strange dirt tracks? 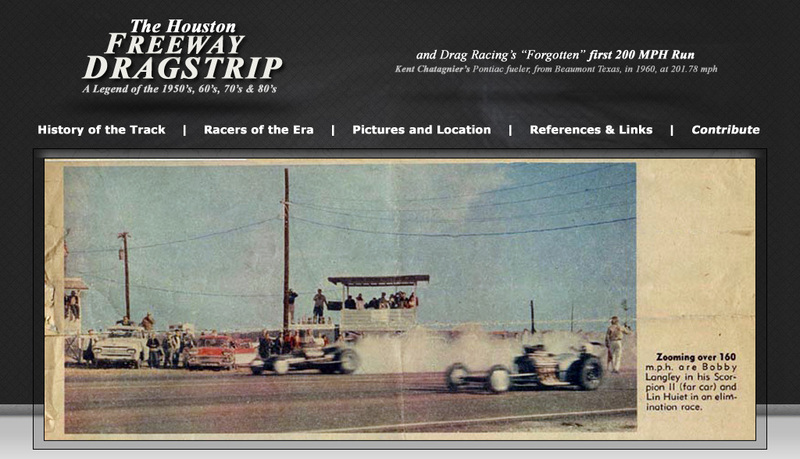 1959 (March 1st) Article - "Freeway Drag Strip"
added lights, xmas tree, timing system, grandstands, PA system, etc. 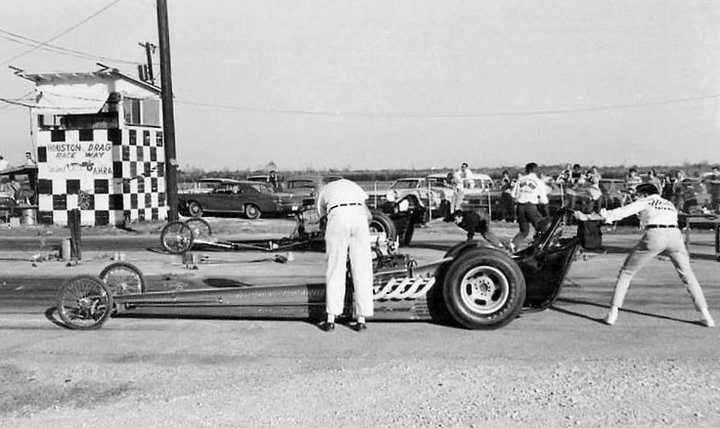 Bret Kepner: "To post the definitive and technically correct response, this was, indeed, Oklahoma City's Tommy Dumbell in the "Gravedigger" AA/FD at the Houston NHRA WCS meet in 1976. This was Tommy's first RED after parking his "Godzilla" FE AA/FD. 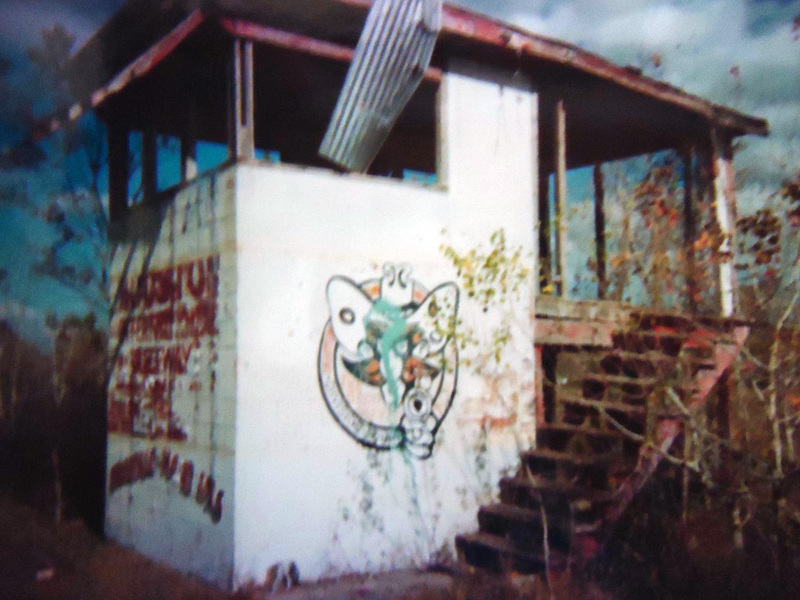 The car was not the ex-Cross & Corzine car but a Tuttle chassis. Crewchief John Davisson was pushing the car when a brake caliper locked up and...well, it's obvious what happened next. There were no injuries and Tommy continued to run the car through '76 before taking delivery of a new Tuttle (RCS) "Gravedigger" in '77. The new car was #2 qualifier at Bakersfield '77 with a 5.90/238. Suffice to say this was Tommy most embarassing moment." 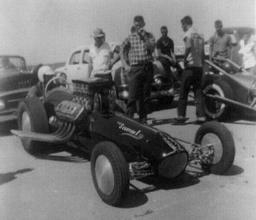 Kent Chatagnier and the "Kent's SPeed Shop" fueler from Beaumont, Texas. 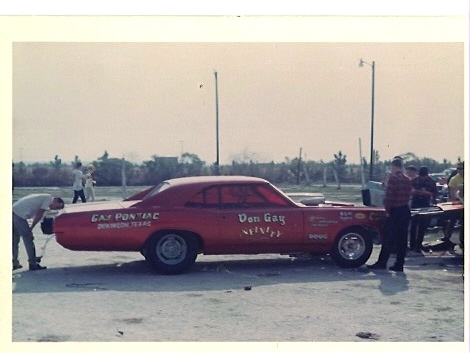 Running a fuel burning Pontiac, he totally upset the world of drag racing in 1960 by running the "forgotten" 200 mile per hour runs at Houston. He made four runs that day between 197.36 and 201.78 miles per hour. 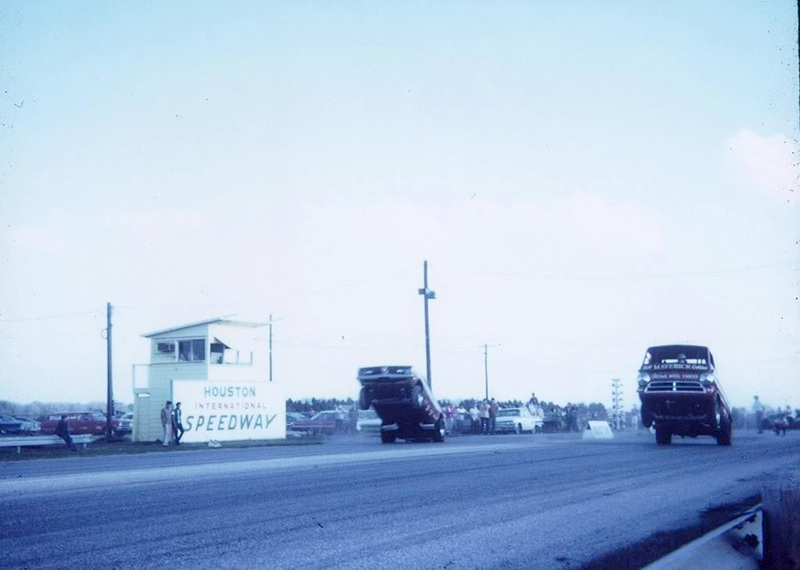 He did everything that was required at that time to back up the speed, as called for by the Drag News Standard 1320 rules that were in place at the time. 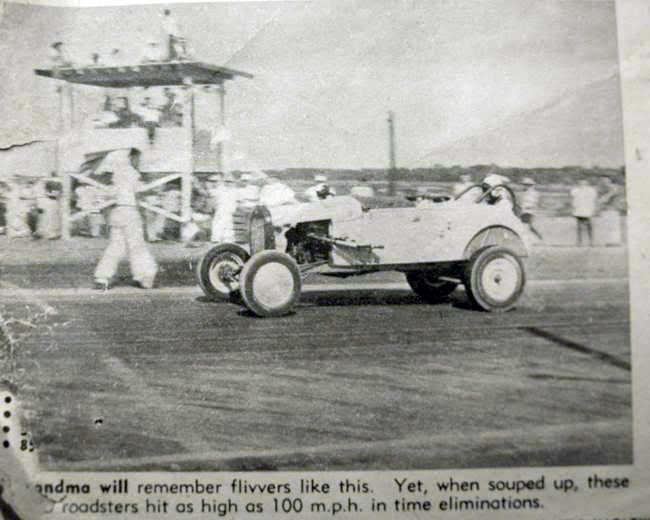 Drag News published the record for several months as the "official" standard 1320 AA/FD speed record. After a while, Kent no longer was credited as being the first 200 mph run. The argument through the years has been that he never did it again. Chris Karamesines did not back up his 204 at Alton and did not run close to 200 again for years. Ivo didn't back his 200 up. 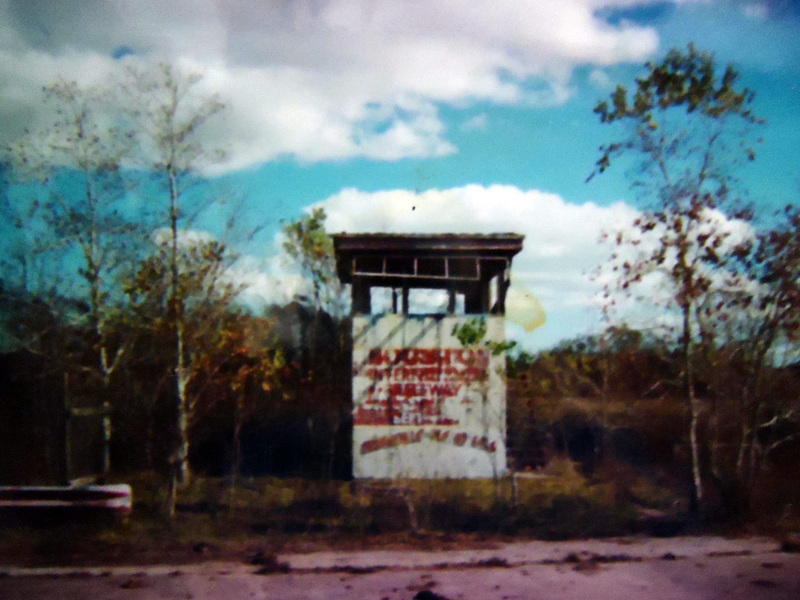 No one did it and backed it up until Garlits did EXCEPT that unknown kid from Beaumont, Texas, Kent Chatagnier. 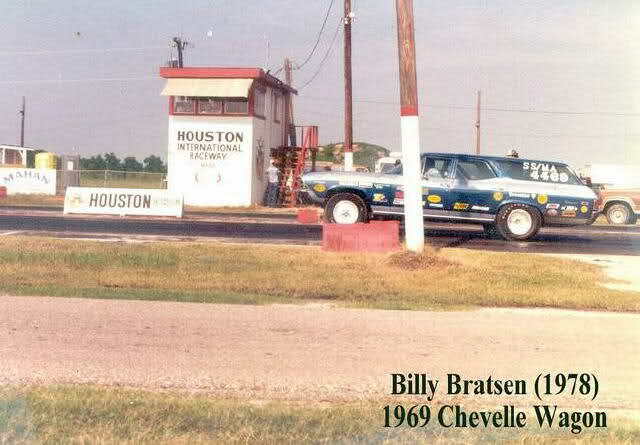 Another forgotten Texas team was that of Burris-Huiett, who ran a Chrysler (392) out of Houston. They didn't travel much do to job commitments, but were heavy hitters on the local scene. 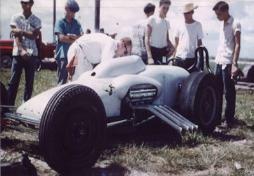 They were runners up at Art Malone at the grand opening of Green Valley Raceway in Ft. Worth in 1959. Art made a statement that appeared in Drag News. He said that while he had never heard of these guys, they had put the fear into him. Art stated, "They are dead serious racers." They ran for a few more years then kind of faded away. The cost was just too much for a couple of Chrysler-Plymouth dealership mechanics. Lee Schelin, Standard 1320 Group founder, comments: The Greek did not back-up the 204 mph on the same day/same track as required by Drag News, but did run 199 mph the following week in Kansas. In early 1961, Drag News wiped all The Standard 1320 records clean and started over. The new Standard 1320 requirements for an official record were the following: 2% back-up of the record the same day/same track and another 2% back-up the following week at a different track. Tough duty... - Lee Schelin. 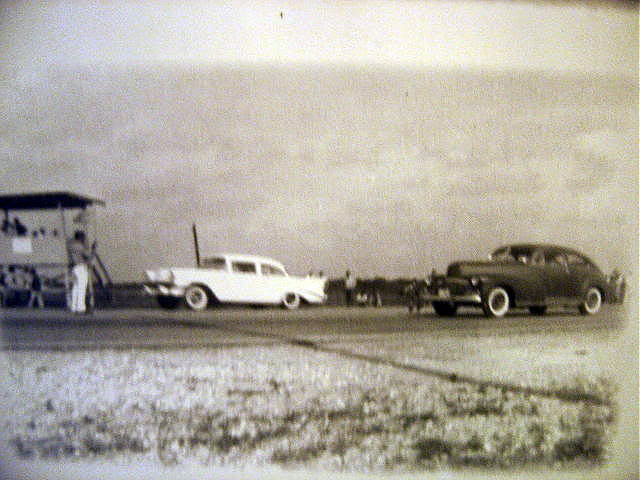 to start a B-dragster elimination race at the Freeway Drag Strip"
"Zooming over 160 mph are Bobby Langley in his Scorpion II and Lin Huiet in an elimination race."